Charleston Chief Resilience Officer Mark Wilbert at the Battery. "We're the first city in South Carolina to actually have this position," said Wilbert from his office at the Gaillard Center downtown. So what is a resilience chief? The group, “100 Resilient Cities”, created by the Rockefeller Foundation in 2013 describes it as a top-level advisor who reports directly to the mayor, establishing a resilience vision to maximize innovation and minimize the impact of unforeseen events. Charleston's mayor announced the position in January during his state of the city address, calling flooding and the threat of sea level rise top priorities. Wilbert has wasted no time wading in. He’s immersed himself in the city’s 2013 Sea Level Rise Strategy, trying to revise and prioritized the lengthy list of initiatives for re-release this June. He’s holding public meetings across the city, trying to explain a sea of acronyms for federal and state flood assistance, like the HMGP or Hazard Mitigation Grant Program. He’s even hosting workshops on how to do what once unthinkable in the historic city, elevate downtown homes. “I’ve been out of my house more the past years than I’ve been in it,” said Jenny Reynolds, a homeowner on the peninsula. She says she’s had flood waters, even pluff mud inside her home. She recently attended a city meeting with neighbors to learn more about raising historic homes, only to discover they can’t afford it. “I keep saying our houses are going to become uninsurable and unsellable,” said neighbor Carol Kelly. She owns an historic home and worries about property values. “People always ask me what the city is going to look like in 2100,” said Wilbert. “I tell them it’s going to look a lot like it does now in many places, but it will be different in others.” One place that will definitely be different is the Battery downtown. Wilbert says they will begin work this year to build the lower part of the wall two and a half feet higher, with the possibility of raising it even more. He says it could take 10 years, at a cost of 100 million dollars. 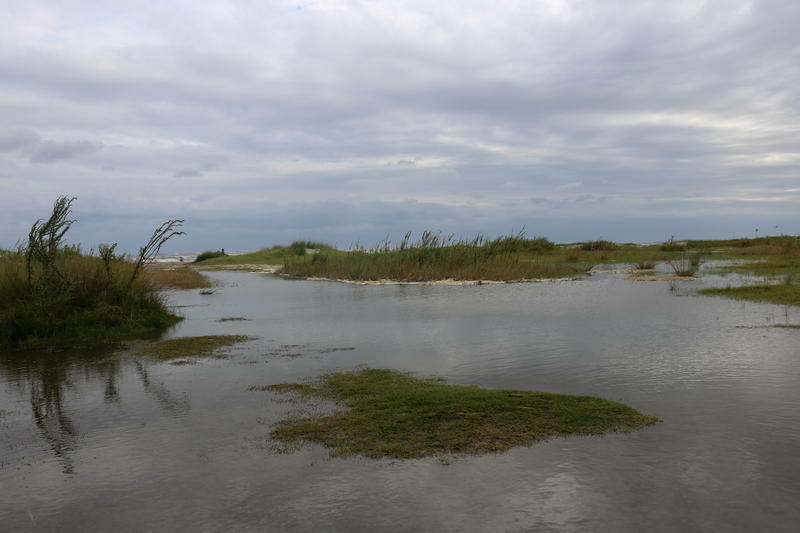 “The problems we’re facing seem endless,” said Emily Cedzo with the Coastal Conservation League. She says the group is relieved the city has finally hired a resilience chief as called for its 2013 Sea Level Rise Strategy. But she says there’s much more that needs to be done. Cedzo says the group looked at that 2013 list of initiatives last year and found only 26 of the 76 outlined had been or was in the process of being addressed. Wilbert says that’s what he’s doing now as he makes revisions. As for funding, he says city infrastructure projects alone could top one billion dollars over the next 20 to 40 years. That’s why he says the city is hiring a grant writer and looking to the state legislature for new ways to use its hospitality taxes. It’s a big job. But Wilbert remains optimistic. The city’s first Chief Resilience officer seems to realize, he must be resilient himself. Tourists are attracted to Charleston not just for its history, but also for its beautiful ocean views and beach access. But the ocean’s rising levels also pose a major threat to coastal cities like Charleston, especially when they combine with large rain events like the hurricanes the city has weathered over past years. Since 2014, Charleston’s streets have been flooded consistently more often, from 11 days in 2014, to 38 days in 2015 and 50 days in 2016. 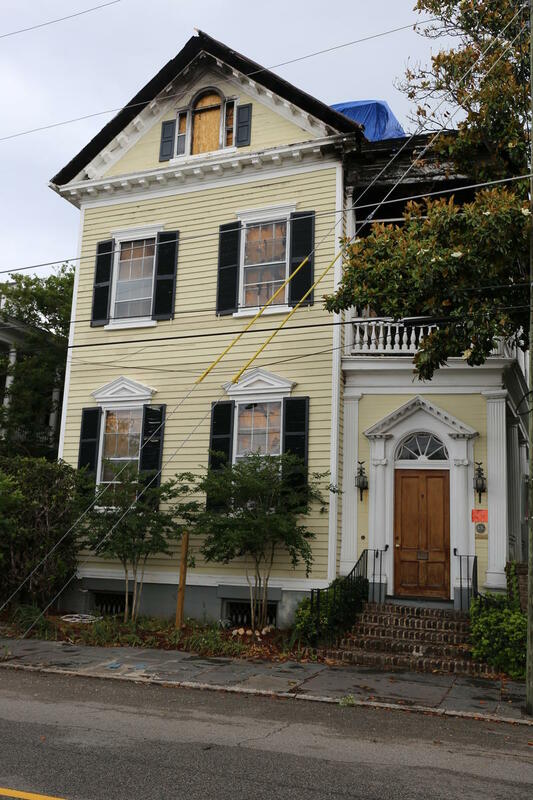 Jack Margolies is somewhat of a pioneer in Charleston historic preservation circles. He is the first to get approval to elevate his 1859 two-story yellow home to meet flood requirements. Margolies got the go ahead by the Board of Architectural Review– a body that ok’s any changes to historic homes. This is the second time he has tried to get approval to elevate his home. Margolies believes this year he had the right circumstances because much of his home was destroyed during a fire and the place required major construction. Under the approved elevation proposal he will be raising his home about two more feet which includes altering the red brick steps and iron banister that lead to his Charleston style southern facing piazza. But he’s is careful to explain that the entrance will look straight out of the 19th century.